Please Note: The new batch will be shipped around May 8, 2019 (ETA, not guaranteed). The final shipping date depends on the manufacturer. We will try to get it delivered as soon as we can. The ShenRay Hadaly Style RDA is an innovative RDA for you flavor chasers out there. This RDA is amazing but if you looking for massive clouds this one is not for you. It is best suited for single coil builds. 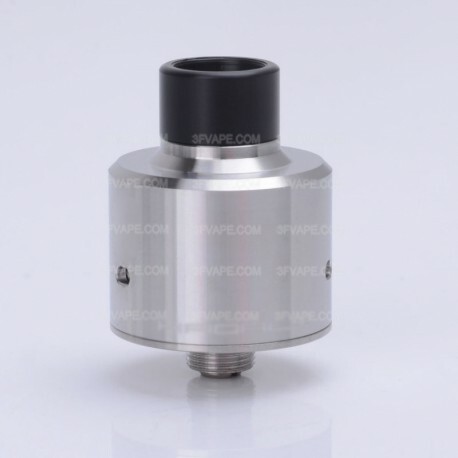 This RDA is constructed from 316 stainless steel with Bottom Feeder Center Pin. Acheté en juin 2017, toujours au top. Rapport qualité/prix imbattable. Je suis actuellement en train de le comparer à un Flave tank 22 original, ainsi qu'à un Flave titanium 22, original lui aussi. Même montage, même liquide, et sur un tube Taifun vireo maxi. Et bien je dois dire que je suis perplexe, tous les 3 fonctionnent très très bien, la finition des Flave est bien sûr au-dessus, mais ça, ça ne joue pas sur le rendu d'arômes. Les Flave ont tendance à "mélanger" tous les arômes du jus (gourmand), alors que l'Hadaly donne un chouia + de relief, de détail dans le goût, c'est subtil et infime mais bon, on sent cette petite différence à l'avantage du clone. Bref, l'original Hadaly doit donc être au poil, mais pour le prix de ce clone, on se retrouve avec un rda de tout premier ordre, capable de bousculer des références comme la famille Flave. Décidemment, je ne suis pas prêt de le lâcher, et de m'offrir l'original un jour prochain, quand je ne serai pas quoi faire de mon flouz. Merci à 3fvape et l'excellent boulot de Shenray de m'avoir fait découvrir ce petit bijou. If you are a flavor chaser, get one of these, just rocking plain 5 turns 3mm ID 24GA SS316L and it's probably the best RDA I've tried. Machining is flawless and the pin plugs easily. On the other hand, the o-rings are garbage and you'll probably be better off buying some extra set or reusing some from another atty. The top cap fits perfectly, no leaks or jiggling whatsoever. It's a bit leaky in BF mode (since the airholes are quite low, it might take some practice but this is an issue with the original one as well), but not an issue if you're a dripper. It doesn't leak from anywhere else. Absolutely recommended, 4 stars for the garbage o-rings but easily solvable. BEST RDA EVER MADE. PERIOD. The Hadaly is still the best rda for flavor. I have 30+ rdas and NONE of them produce better flavor. I have 3 original hadalys and bought a couple clones too so I always have back ups available forever. This Shenray is almost identical to my authentics. The only difference is the air slots aren't tapered on the autbentic, and they are on the Shenray. This is barely noticeable though. Machining quality is excellent. 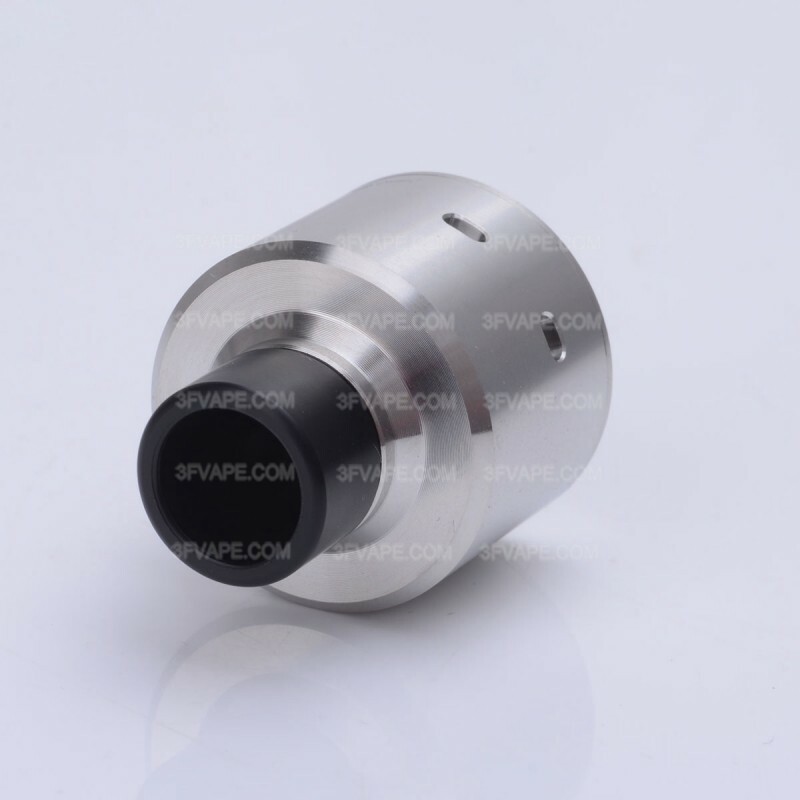 Flavor is outstanding when used as a dripper; one of the best RDAs available. However, the design (which is likely the reason for such great flavor) puts using the RDA with the BF pin out of the question due to constant leaking with the almost non-existent juice well due to the low/bottom air flow. Unable to squonk and go, as you need to pay close attention to exactly how much you fill to avoid leaking, and with almost no juice well, you need to BF frequently. 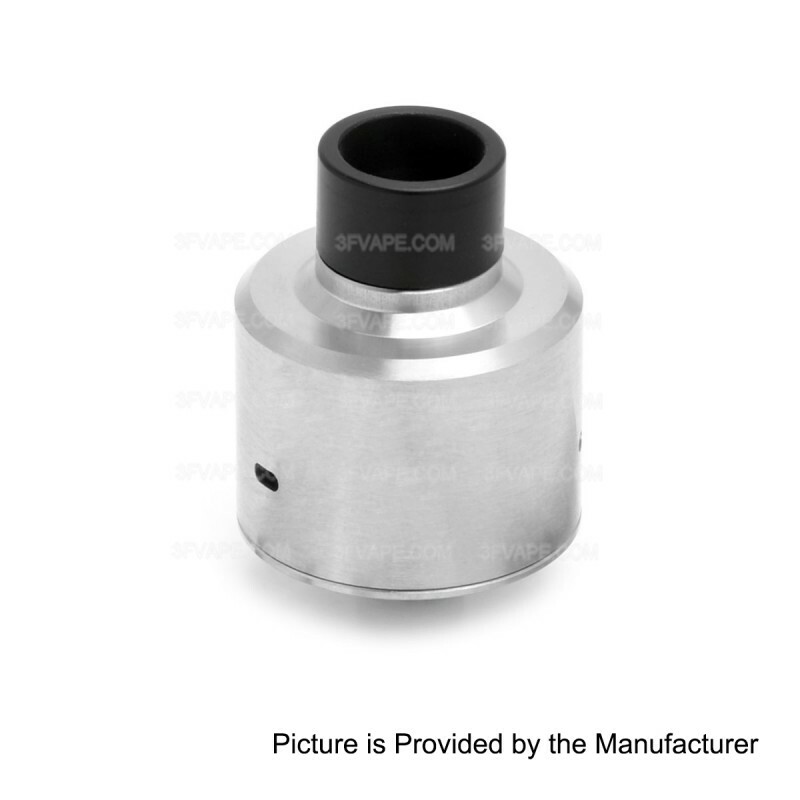 The leaking problem isn't present on other RDAs in my rotation (wasp nano, flave). I suggest looking elsewhere if you intend to use as a daily out-and-about RDA. This is an extremely well made RDA. Performs great in both dripping and squonk mode. Simple to build. Produces impressive vapor and flavor for a single coil device. Kicking myself for not buying this gem a long time ago. Just arrived today and I am so amazed with the built quality. Recommended! 10 glittery stars for you! Just got my first squonker and tried the Wasp Nano, then this Hadaly (clone or not?). Much prefer this for flavour I have to say it really is good at giving lots of that. Only had a problem initially fixing the BF pin - as no 1.5 hex key included, and it is essential to make the secure fitting for the coil post as well). I do think they should include this in the package, or at least make reference to it being required!!! However, small gripe only - went out and bought a full set of hex keys cheaply, so have those now for future needs. Great RDA, with easy single coil build. Very good buy. Nice quality, clean right out of the packaging. I note one failure and one issue. The failure is that ShenRay failed to include a hex key to install the squonk pin. Big hassle to find one that fit. The issue I continue to have is the location of the side air delivery holes. They are flat and fairly low in the deck. When squonking it's extremely easy to get a leak out of those air holes. It would have worked much better if the holes had started higher on the cap and been angled downward towards the coil. 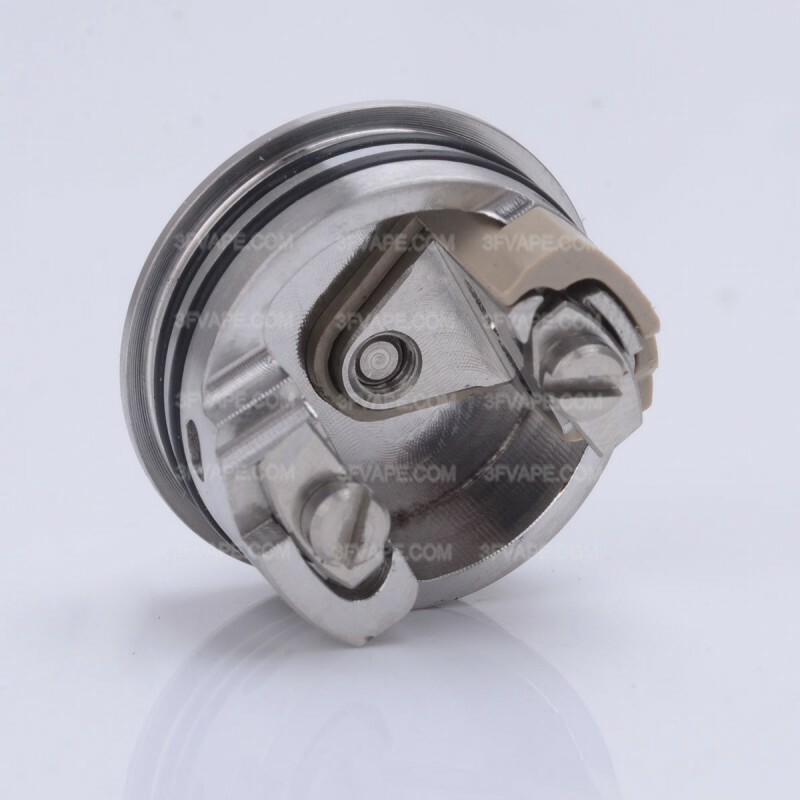 It would produce the same amount of air hitting the coil without the inherent leakage issue present in this RDA. I've tried both the original SS cap and the Ultem cap... Both consistently leak...and NO.. I'm not over squonking. Just a light press on a Silk bottle. Watch out for metal shavings. Very very happy with the performance of this atty. Just becareful of little metal shavings from the machining of the screws. 510 screw (the non-BF one) is abit sharp but nothing a few draw of a sandpaper can't fix. It was my first order to this store. The service was excellent and the delivery fast. Speaking of the RDA, the qualities are really good and I came clean and with all its accessories. For me it is perfect in terms of flavor and airflow, as I do not like the RDAs with large air intakes. I also prefer single coils. Very happy with the product and with the store and the service received. This is not a fake review. I just received the hadaly this morning. Look and Feel like authentic. Best Flavour RDA ever. If your still looking to get it, dont think twice. just buy it. I can guarantee you wont regret it. Best customer service with quick turn-around email reply (usually within few hrs, not weeks like most website). Ottimo atom ha un ottimo aroma, facile da rigenerare consigliato. This product is really well manufactured, everything is smooth and came clean as a whistle, no machine oils or debris. The O rings are perfect, the build deck is wonderful with excellent clamps and screws. This little gem produces wonderful flavour and doesn't disappoint on the clouds either. Buy with confidence! This was my first purchase from 3F. My order shipped quickly with tracking information. Using the US ship option for an additional $0.69 brought the item to my door in 11 days. 17Track showed it was delivered on day 7 so I started a ticket asking where my order was. They responded quickly with updated tracking information and it arrived 2 days after. This clone is well made and delivers an incredible vape. My only issue with it was that it does not come with the 1.5mm hex wrench that you need to install the bottom feeder pin. The manufacturer really need to include that tool with this item. Excellent quality, no machine oil, perfect threads and O rings. This is a small rda including the clamps, not suitable for big exotic coils but single wires or small claptons fit OK. On receipt I gave it a quick wash then fitted a single spaced 3.5mm coil that came out at 0.6 ohms. Plenty of room for wicking and so easy to build on. 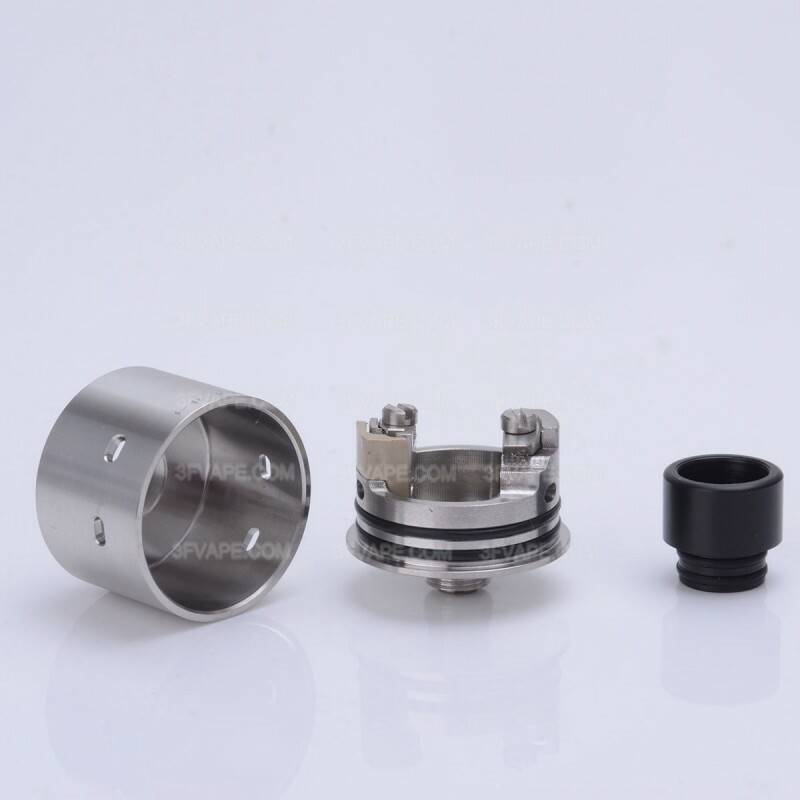 I fitted the bottom feeder pin without any hassle, juiced it up and it performed brilliantly, plenty of clouds and wonder flavour, everything I expected from ready other reviews on this fabulous little rda. Buy with confidence! Questo è il miglior clone dell'hadaly in commercio. Identico in tutto e per tutto all'originale, mi è appena arrivato e lo trovo fantastico. Straconsigliato. Awesome. #1 single coil rda. I just got mine in. Threw in a triple fused clapton SS316l,coming in at .3. The flavor off this lil guy is ridiculous,absolutely ridiculous. Flavor just pops, was simple to build and wick as well. Im doing you guys a favor by letting you know,bc this is a hidden gem right here for the money. The authentic is $70 and you couldnt notice a difference between the two. 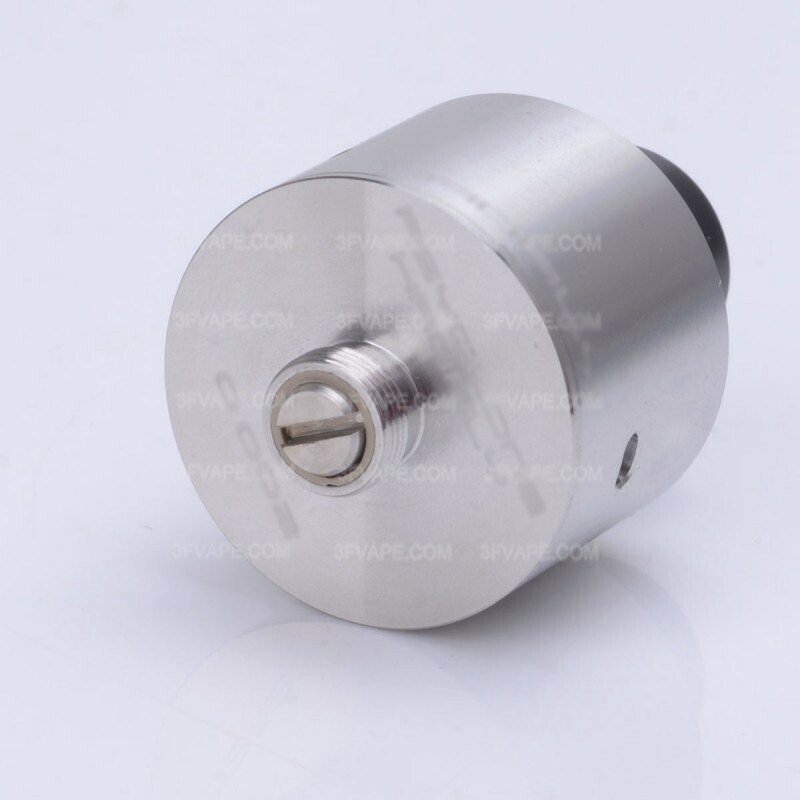 1:1 clone here,squonk pin ready and everything,youll be thanking yourself the second you vape it. This is 1:1 Hadaly. Top!